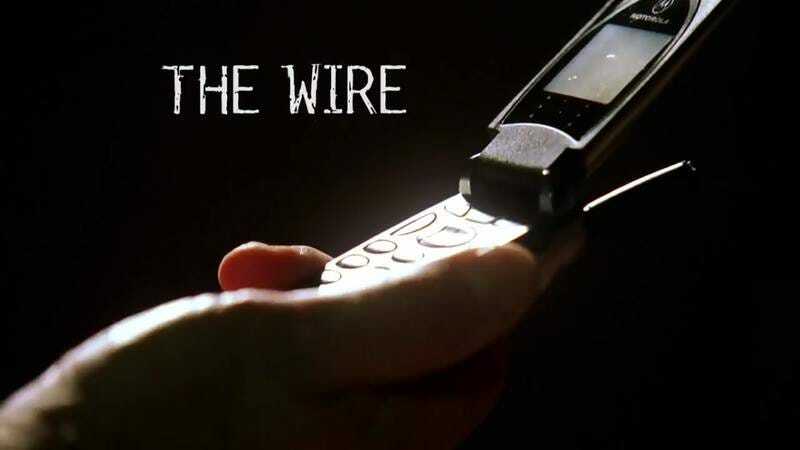 The Wire tells the story of a fictional substance called “drugs”: The entire plot of The Wire revolves around something called “drugs,” a strange substance sold in bags that makes people feel good when they “smoke” (light fire to and inhale) it. The show’s writers have never revealed what their inspiration for drugs was, but odds are it was based on some sort of delicious snack or possibly masturbation. Showrunner David Simon based the show on his three-decade experience as a sign-twirler outside a Baltimore cell-phone store: Having spent 30 years on a sidewalk in one of America’s roughest cities, Simon was able to imbue the show with an in-depth knowledge and understanding of what goes down in the Wendy’s parking lot across from the T-Mobile store he twirled a sign out front of. The Wire features a diverse cast, which completely makes up for Seinfeld’s lack of diversity: Up until The Wire’s premiere in 2002, Seinfeld was universally panned for its lack of non-white actors. But when viewers found out just how diverse The Wire’s cast was, they ended up completely forgiving Seinfeld, since the two casts averaged together were more than diverse enough. Barack Obama has said that his favorite character on the show is Fred Flintstone: The former president has made it no secret that The Wire is his favorite show, and when asked about it in interviews, he consistently tells people that the animated caveman Fred Flintstone is his favorite character on it. Obama says that he loves that his two favorite parts of The Wire are its unflinching depiction of the American criminal justice system and the way Fred Flintstone eats big dinosaur ribs that make his caveman car tip over. Every episode of The Wire contains a character who points at the sun and says, “It’s here yet again and bigger than ever”: The Wire had so many unforgettable characters that it could often be hard to keep track of them all. Such is the case with the character that points at the sun every episode and says, “It’s here yet again and bigger than ever.” The character was played by a different actor each time and was often in the background of scenes. The cost of making the sun get larger in every episode of The Wire allegedly almost left HBO bankrupt, but the end result of getting to see a different person point to the sun and complain about it in every episode definitely paid off in the end.